Buying an attainably-priced green home is a no brainer for most creatives given the option, however finding one is comparable to a needle in a haystack. So, in the District of Columbia the GreenHomes DC program is launching an opportunity for prospective home buyers (and renters) to crowdsource their own affordable green place to live. In partnership with a sponsoring developer per specific project, GreenHomes DC is a joint venture between Green DC Realty and CoolTown Beta Communities. Approximately $1000 will be contributed to environmental organizations that refer eventual green home buyers, including Green Drinks DC and Live Green. 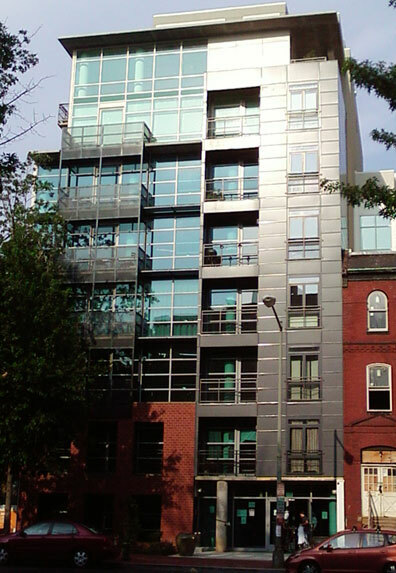 The launch event took place on July 8, 2008 (last night) at Lofts 11, a 27-unit green residential building completed by Taurus Enterprise Group. It’s pioneering president, Gail Montplaisir, spoke to a crowd of a hundred on how she’d been supporting green development for decades without any industry support back, and was heartened by the green tipping point sweeping the country. She was enthused that there were so many people interested in green building, and was open to crowdsourcing their next green development.